The month kicked off March 2, with Read Across America Day a day that encouraged kids and adults alike to celebrate by unplugging and picking up a great book. As an avid reader, I love this! I remember loving books as a child and that is something that I want to inspire in my own children. I want them to develop a love of books and reading at a young age. For some kids, like myself and my son, that love of reading comes rather naturally, but for many others, we need to nudge them along a little bit. We need to find just the right books to grab their attention. So, what should we look for in a great kids' book? Eye-catching Illustrations. They say never judge a book by its cover, but for kids for whom reading doesn't come naturally- they need something to draw them in! Topics of Interest. If your child loves animals, get them books about animals. If they love space, go with books about space. Look for Fun. Jokes, silly stories, etc... let kids know that reading doesn't have to be boring! Keep At Their Level. Nothing could be more discouraging that trying to push a kiddo into a book they are not yet ready for. Find books that are ideal for their reading level instead. Make It Interactive. Don't just read, bring books to life! Find books with fun challenges that help kids to learn by doing. One such type of books we can always count on to provide all of this? 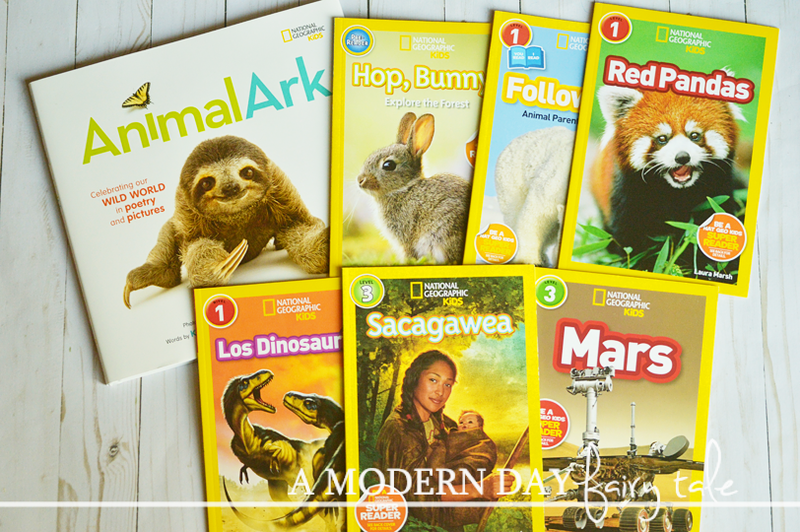 National Geographic Kids Leveled Readers! 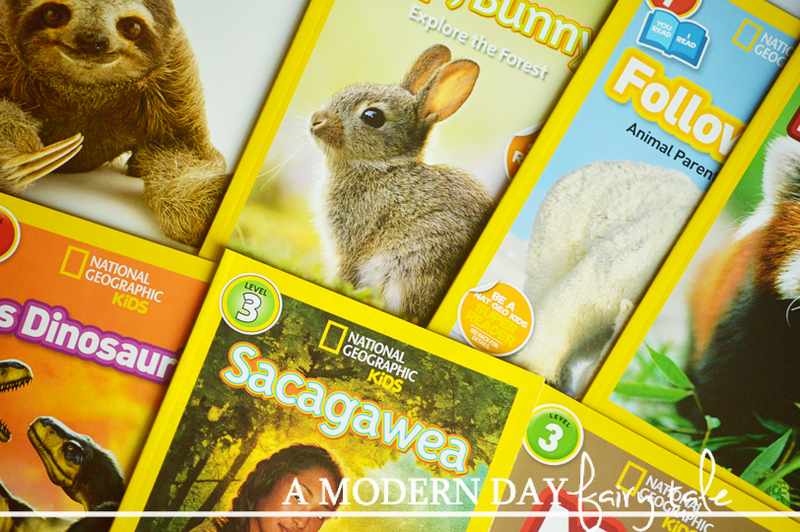 National Geographic Kids are not just a favorite in my home, but in homes everywhere. In fact, they are the leader in nonfiction children's publishing! The Leved Readers were developed with experts in literacy education, with that knowledge that informational reading is crucial to children's success in school and beyond. As we have come to expect from all things National Geographic, they are filled with beautiful, vibrant photos, bold and bright text and colorful boxes with important information. Not only does it make reading all the more exciting, but visual stimulation can actually adds to reading comprehension, so your child understand and remembers more of what they have read. They are also filled with fun facts that appeal to a child's natural curiosity, jokes to keep kids laughing and interactive activities to draw them in. And that interaction doesn't stop at the last page. Kids can interact even more with the books through the National Geographic Kids Super Readers website, where they can download free posters, sticker sheets, and other prizes and activities as they chart their own reading accomplishments. But most importantly... kids truly love them! No matter where they are in their reading ability, there is a leveled reader to meet them where they are. Kids will be learning, and enjoying it as they do! What could be better than that? Do you have a little reader in your home? What tips do you have to inspire reading? 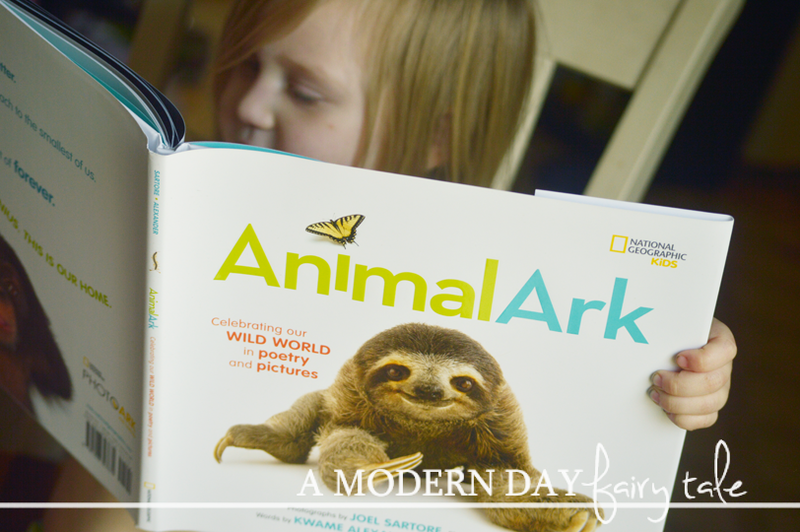 How can National Geographic Kids Leveled Readers help? I do!! I don't even need to inspire him he LOVES it!! Well, me reading to him for now!! I can only hope he loves to read as much as I do when he is older!! We love to read at my house and these books are so good to read and have my kids enjoy. i did not know it was National Reading Month. Books were always my favorite gifts to give to my children. Now I'm buying books for my grandkids. The National Geographic selection in your post look like fun books for them. I like that they put reading level numbers on them to pick books according to the child's reading ability.